Karen Roberts - Executive Vice President and General Counsel, Walmart Inc.
Karen Roberts is executive vice president and general counsel for Walmart Inc. In this role, she oversees the legal department, which is responsible for handling all legal matters affecting the company in its domestic and international markets. 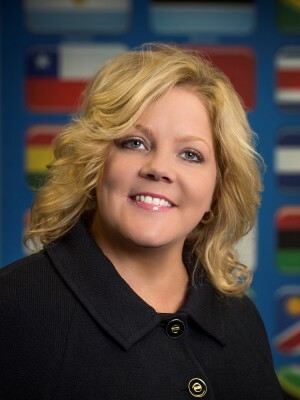 As the leader of Walmart Legal, Karen ensures the company’s compliance with the laws and regulations in the regions it operates, forecasts possible issues and works ahead of them to ensure the company’s readiness and heads department initiatives such as its Medical-Legal Partnership Program and its diversity and inclusion efforts. Karen was previously executive vice president and president of Walmart Realty, where she was responsible for Walmart’s real estate operations and a portfolio of close to 1 billion square feet. In this role, she ensured the company fulfilled its commitment to be a good neighbor by working with communities to generate jobs, spur economic growth and continue its mission to save people money so they can live better. Prior to her move to Realty, she served as senior vice president and chief compliance officer for Walmart. She managed operations and pharmacy compliance, environmental compliance, immigration and financial services compliance, product safety compliance, food safety and quality assurance and the privacy office. Since joining Walmart in 1995 as a real estate manager, Karen has held various positions within the company, including vice president and general counsel for real estate and construction. Karen obtained her bachelor of science in public administration from Harding University and her juris doctor from the University of Arkansas. She is currently a member of the Arkansas Bar Association and the American Bar Association. Karen is currently serving on the Mercy Northwest Arkansas Community Board and the Northwest Arkansas Council. She previously served as a board member for Mercy Health Foundation Northwest Arkansas.